If the electrical system in your home or even in your business premises is roughly 10 years old it will possibly need improving, and if the system is over 30 years old it will probably require an electrical rewire. At Avon Electrical we recommend carrying out regular, periodic inspections testing your fixed electrical installation to BS7671:2008 IEE Wiring Regulations which will indicate whether your property requires electrical rewiring or any sort of electrical maintenance whatsoever. 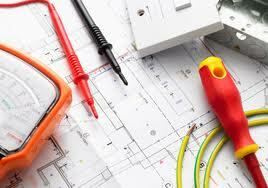 As one of the North West’s leading electrical contractors we place a massive emphasis on customer service, we make it a priority that we purchase any equipment including tools and materials from only leading and reputable manufacturers, we also realise it is our responsibility to carry out any remedial works and to make sure we leave any property we work on in tip top condition and electrically compliant with the minimum of disruption possible. At Avon Electrical our team members are put through extensive training programs that deliver the industry’s highest electrical qualification, making sure they are up to scratch and meaning the expertise throughout our company is reflected in the quality of our highly experienced and fully qualified rewiring electrical engineers. We offer our customers assured peace of mind that every installation carried out by Avon Electrical Ltd is safe and of the highest quality.